With the Milwaukee Brewers bullpen overworked the previous two days, they needed a solid effort from Wade Miley on Thursday. Miley allowed just one run on five hits over 7 1/3 innings to help the Brewers to a 2-1 victory over the Cincinnati Reds in 11 innings at Great American Ballpark. Miley allowed just one hit in the first five innings, but the Brewers weren’t able to muster much offense. They finally scored in the top of the fifth when Christian Yelich drew a bases loaded walk to plate the first run of the game. Miley, who walked one and struck out six, lowered his ERA to 2.18 through 11 starts. Dan Jennings, Jordan Lyles, Corbin Burnes, Joakim Soria and Josh Hader finished out the 11-inning victory. The game winner came in the top of the 11th when Lorenzo Cain clubbed a lead-off home run off of Austin Brice. Brice had just been recalled from AAA Louisville earlier in the day. It was the 10th homer of the season for Cain. The Brewers took 2 of 3 in the series, their third straight series victory. The Brewers are in Washington D.C. to face the Nationals in the first of a three game series on Friday night. Lorenzo Cain homered while reaching base four times in his return to Kansas City. 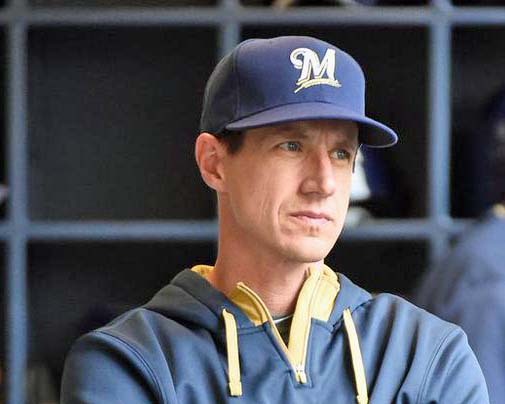 He helped the Milwaukee Brewers knock off the Royals 5-2 at Kauffman Stadium. Travis Shaw delivered the big blow with a three-run homer. 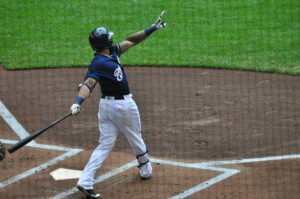 Ryan Braun also had two hits, walked twice and drove in a run. Zach Davies worked six innings for the win, improving to 2-2. Matt Albers, Dan Jennings and Jeremy Jeffress combined for three scoreless innings of relief. Salvador Perez homered for the Royals in his return from the disabled list. The loss goes to Ian Kennedy (1-3). He left after allowing four runs over three innings, taking a liner off his ankle in he third inning. He finished the inning before leaving the game. 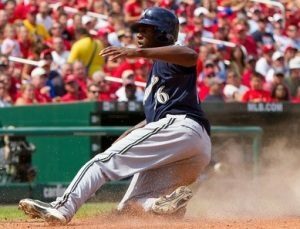 Still struggling to hit and score runs at home this season, the pitchers took over on Tuesday night as the Milwaukee Brewers blanked the Cincinnati Reds 2-0 at Miller Park. Junior Guerra pitched 5 2/3 innings of scoreless, one-hit ball. Dan Jennings earned the win in relief and Josh Hader earned the six-out save for the Brewers, who improved to 9-9. The Reds, after a 10-run, 14-hit effort on Monday, managed just three hits off of Brewers pitching on Tuesday night. 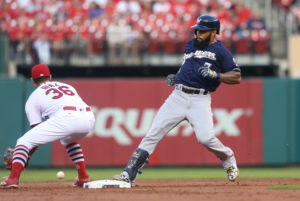 Eric Thames provided the Brewers with all the offense they would need, clubbing a two-run homer in the sixth off of Reds starter Sal Romano. 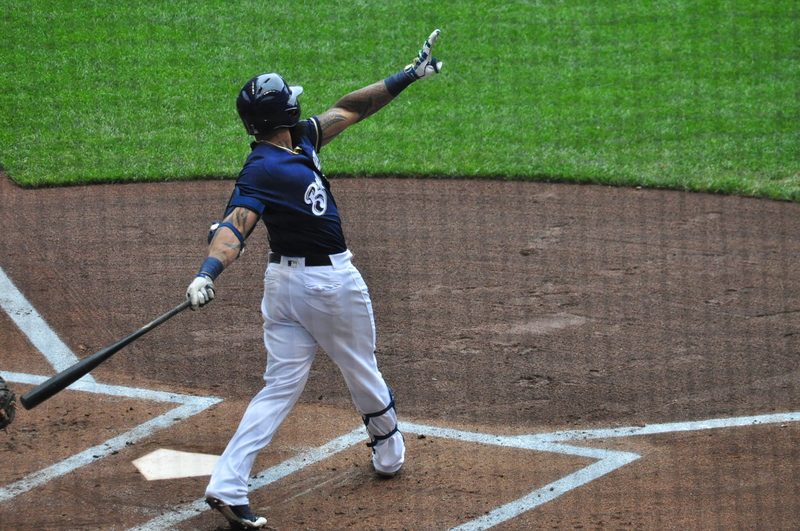 It’s the team leading sixth home run this season for Thames, who now has clubbed 17 April home runs in his two seasons with the Brewers. Wilmer Flores clubbed a walk-off game winning home run in the bottom of the ninth inning as the New York Mets earned a 3-2 win over the Milwaukee Brewers at Citi Field on Sunday. Brandon Nimmo tied the game in the sixth with a solo shot of his own, off of rookie Taylor Williams. 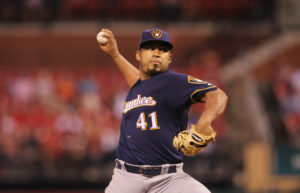 Jeremy Jeffress and Dan Jennings followed with 2 1/3 innings of scoreless relief to help the Brewers get to the ninth still knotted at 2-2 before Albers came on to work the ninth inning. Noah Syndergaard struck out 11 over 5 1/3 innings of one-run ball and Jeurys Familia earned the win. The Mets took the rubber match and improved to 12-2.